Select product and quantity below and then select "CONTINUE TO CHECKOUT" to complete your order! 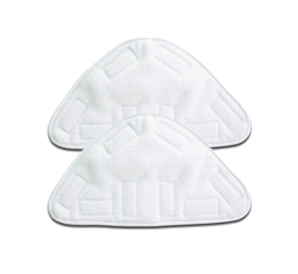 You get three pads for three different types of cleaning — microfiber pad is for tiled surfaces, coral cloth pad is for hardwood floors, tri-plus pad is for high-traffic or stubborn stain areas where more steam cleaning is needed. 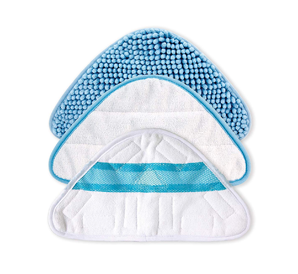 These pads are washable and reusable..
Strong, super absorbent and washable too! 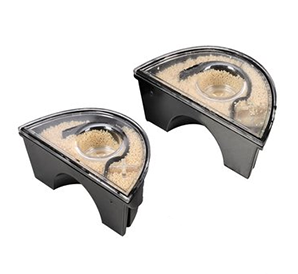 Suitable for all types of sealed floor. Spare Microfibre cloths are a must. The H2O HD water filter will need to be changed occasionally to keep your H2O HD® steam cleaner working in top form. The water filters help to reduce the effects of lime scale build-up.